After a while, food writing essentially becomes just saying the same thing over and over again whilst still trying to create an entertaining read. The food parts are easy. The hardest trick is to hide that fact that you have no new one liners. This becomes tougher still when you write about two restaurants within a short period of time, those two places are from the same stable, serve similar menus, and have the same Chef's name above the door. 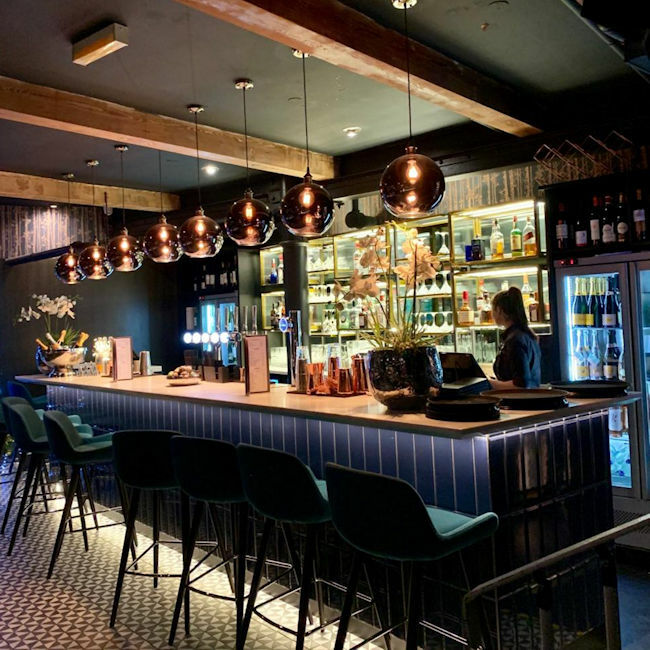 We reviewed Marco Pierre White's seafood driven Liverpool restaurant Wheerler's Of St James a few weeks ago, hence the above point only feels magnified this time around, ahead of our visit to the Mancunian branch of the MPW empire. In the run up to this review I found myself going over possible preludes to the storytelling, which is needed to make people want to read these subjectively worded articles, of which only 20% is actually about the meal part of things. Sure, I could write an inspection style summary containing nothing but objective facts, in 100 words, but who flicks through the Good Food Guide or Hardens to have a good read and a laugh, unless you're a bit of a sadist? 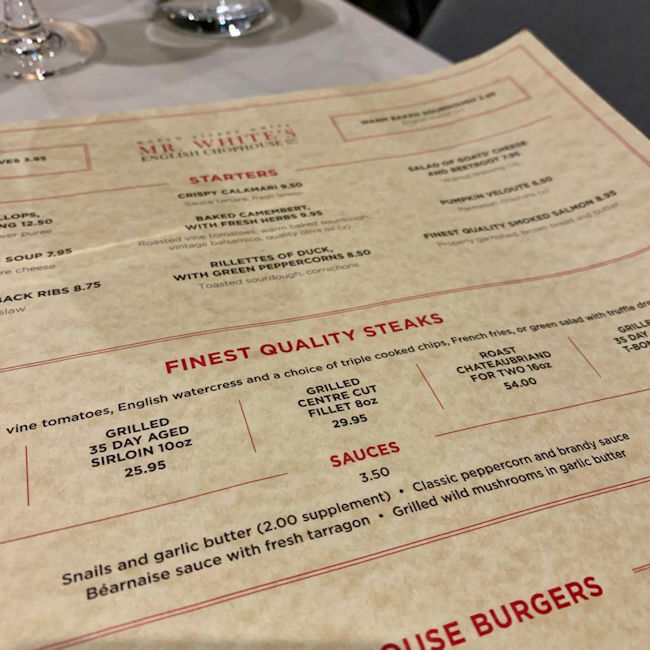 I instead drew blanks and old ideas for said prelude, which mainly consisted of some rerun history on MPW himself, and crucially what he now champions in terms of a dining experience. In short, he's a culinary legend. 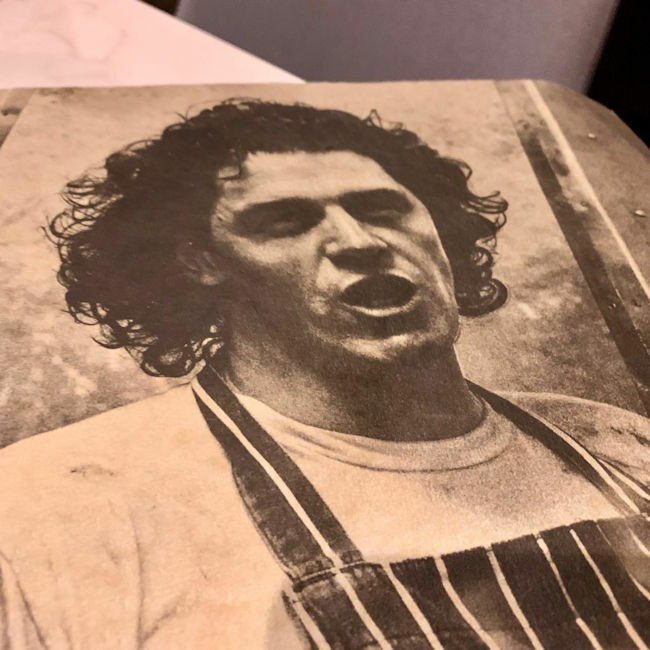 He trained the guys who trained the guys who are now the best Chefs in the UK, and he told Michelin that he didn’t want to be inspected anymore before it became trendy to do so. Marco now prefers to lend his hand to launching accessible, good value, quality yet unpretentious food which goes down well with most people's tastebuds and pockets. I say that such a thing is sadly lacking in most cities these days, even if it's not what Marco is known for amongst the masses. Many customers still remember that he used to have 3 stars, that he's been on tele, and made Ramsay cry. Some may even remember him charging a pompous customer £25 for a portion of hand-made, off-menu chips, yet they didn't ask the price. Back in those days, £25 could have almost bought you a 2 bed terrace in many parts of Manchester. Anyway, prelude boxed off with hardly any rehashes; we were invited down to Mr White's English Chophouse, at the very glamorous Velvet on Canal St. You head down to the basement to the dining area, and it's a great looking place, with quality lighting, plush decor and some cosy booths, which we gladly plonked ourselves in. It's the nicest looking MPW restaurant that we've been to over the years, no doubt. As in Marco's other dining rooms, there’s pictures on the walls of moments from his iconic White Heat book from 1990; my favourite of which is of Jason Everett whose whites have had their back removed. He’d complained to Marco that it was too warm in the kitchen, so Chef resolved that issue for him with a huge knife, apparently in good humour. Jason still works for Marco almost 30 years on, so that’s probably the case. 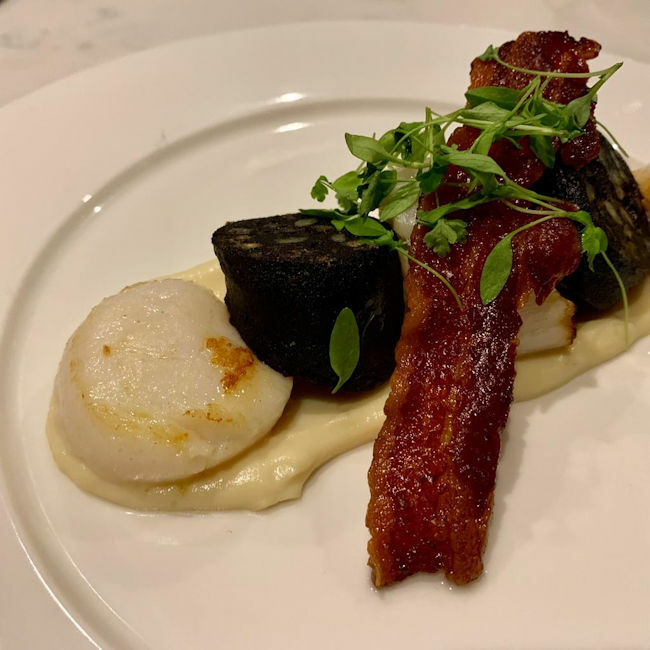 We started with the Seared Scallops and Black Pudding (£12.50). A bit more sear on the barely coloured molluscs would have been nice, but they were warmed through so technically spot on for a purist. 3 to a starter portion is also generous. The substantial nuggets of black pud were meaty, earthy, and cooked well. The whole thing sat atop some textbook cauli puree which was smoother than Marco in his prime. A pancetta crisp also added value. Classic stuff, done well. Hickory Smoked Ribs (£8.75) raised a smile as they were presented to the table. 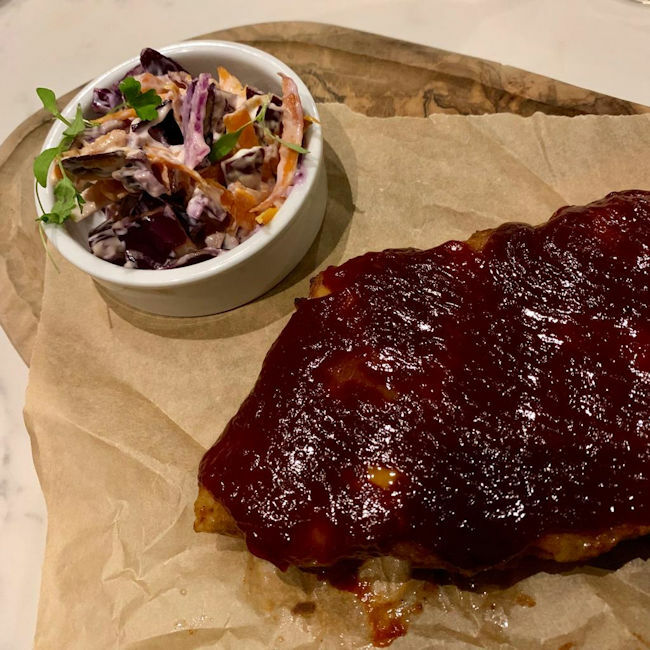 Covered in a thick, brushed-on sticky BBQ sauce, they parted from the bone with minimal effort and were well worth getting your fingers mucky for. The Russian ‘slaw gave some good crunchy texture and acidity to balance the soft, rich, fatty, yet sweet meat. You’ve got to drop in food terms like those when writing about food to make yourself sound clued up. In short, they were proper tasty. 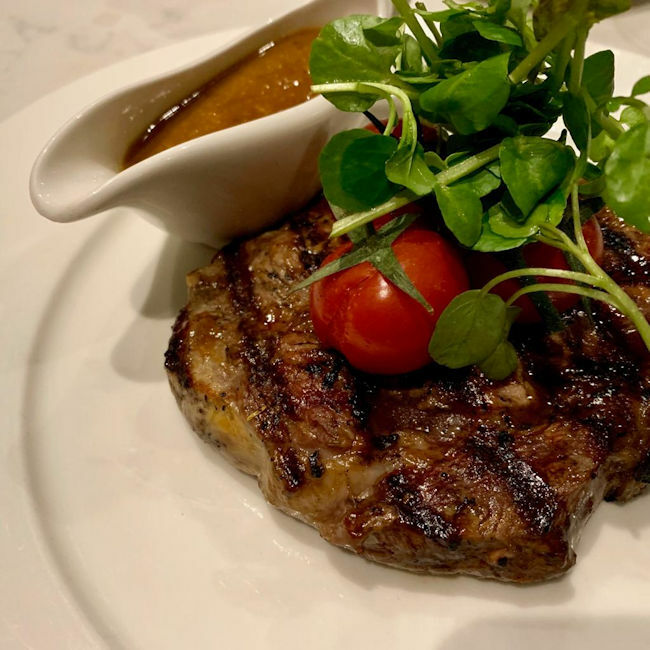 Main courses included a 35 day aged Sirloin (£25.95) which came served pink as requested, with that long ageing period being evident in the beef’s depth of flavour. It came with some on point triple cooked chips, so the whole dish still cost the same as just the chips did back in the day. Unfortunately £25 doesn’t buy you much in the housing market these day. 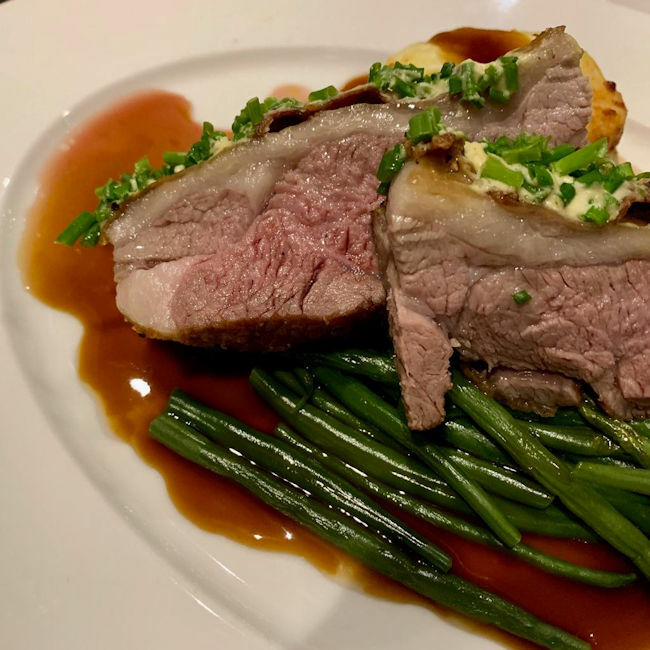 Roast Rump of Lamb (£23.95) looked badly under-rendered when it was first served, but taking a bite dismissed that fear, with the fat melting wonderfully in the mouth, alongside the delicate pink lamb. It was served with a generous portion of beans, some gratin Dauphinoise which was almost soufflé like, and a lovely glossy sauce to tie it all together. We added a side of Mac and cheese too, just to maintain those hard earned festive weight gains for a little longer, as much as it wasn’t really needed. Simple, well cooked pasta, a rich cheese sauce, in a nice steel pot. 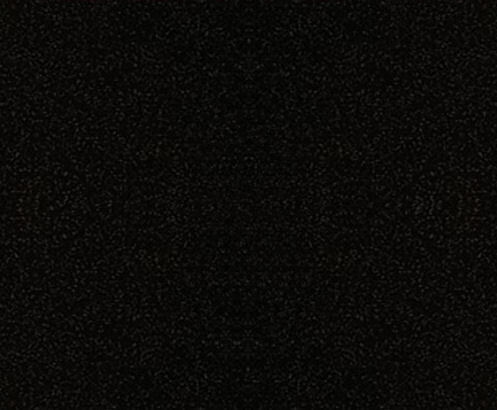 Satisfying. 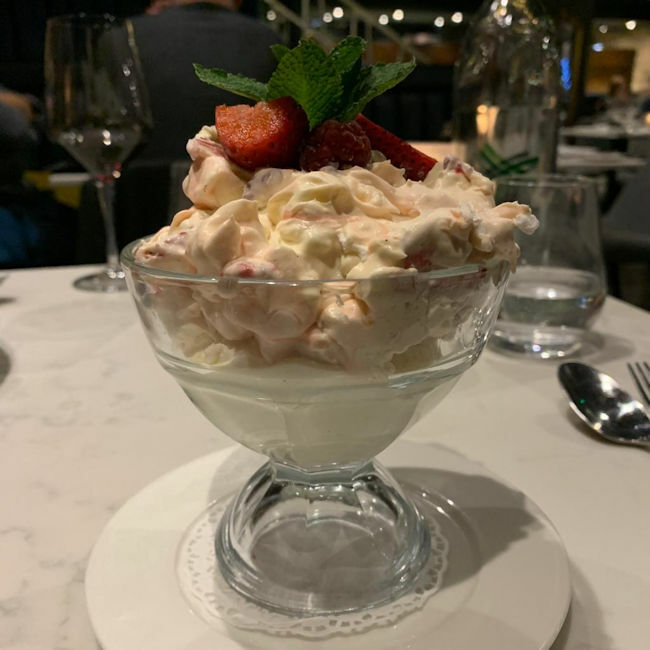 For puds, the Box Tree Mess (£6.50) was a classic Eton Mess, only Box Tree style; inspired by the legendary Ilkley restaurant which is key to Marco's story. It came with ice cream at the core, which is a great touch. 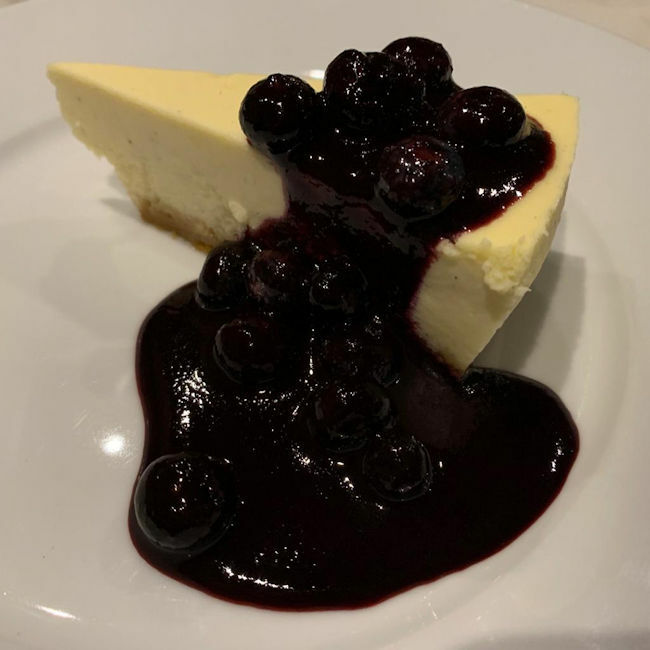 Baked Vanilla Cheesecake (£6.50) with blueberry compote was lovely and vibrant, although the cake itself was missing its nose, which played havoc with my pastry precision OCD. Still, it was creamy and light, so an ideal note to finish on. We left and made our way back up Canal St, pondering the last 2 well spent hours. 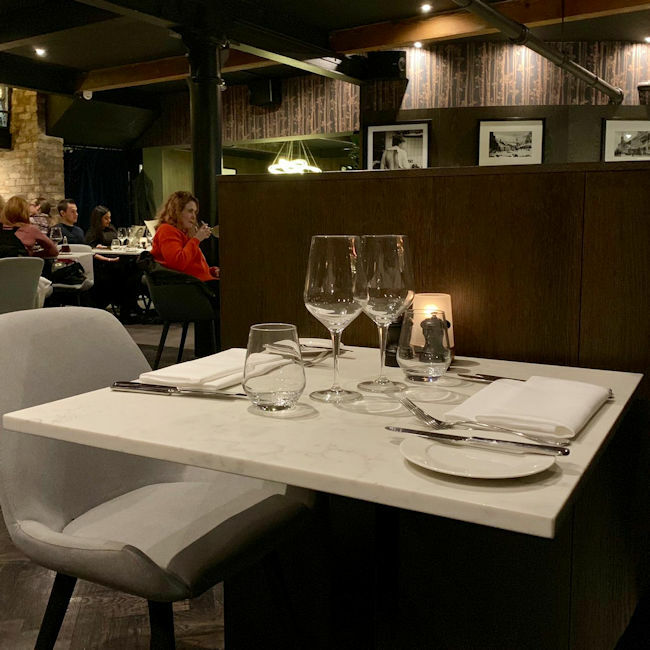 There are very few dining rooms in the city which feel this intimate and comfortable, and there's a lot to be said for Marco's current style of dining. 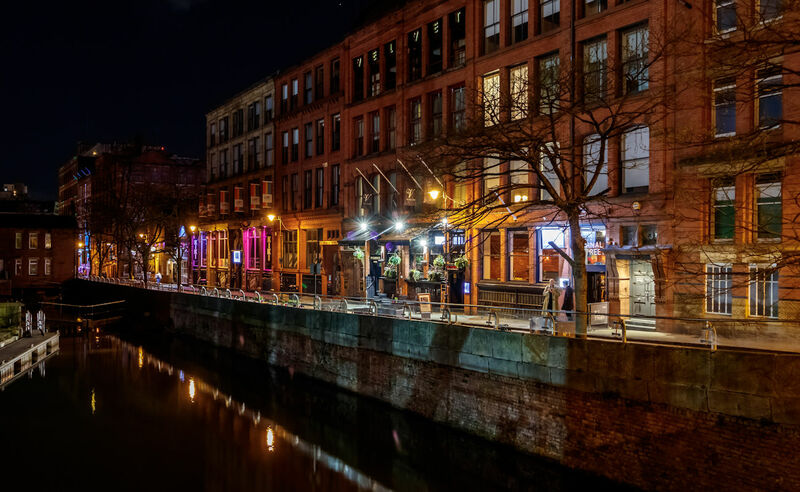 A good honest, quality dinner is something that we all too often neglect amongst the current wave of food trends, new concepts, new USP obsessions, and places trying to accomplish half of what Marco did back in the day, and yet never will. 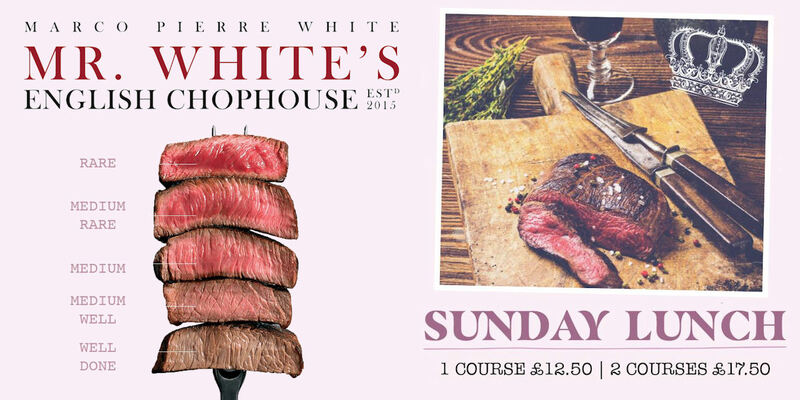 Head down to Mr White's English Chophouse. As an extra kicker, food is half price throughout January, so what better excuse?